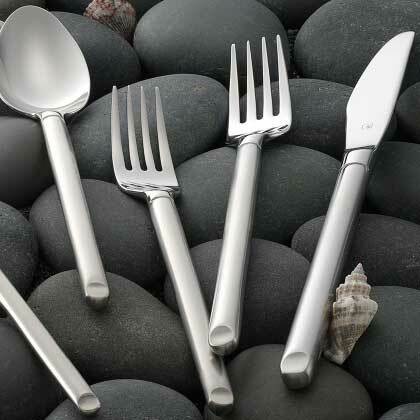 Steelite's Graphite flatware pattern brings uniqueness to the tabletop. This pattern features parallel edged handles of satin brushed 18/10 stainless steel that are perfectly melded to the mirror polished bowls. blades and tines.The clean, modern design of this teaspoon is perfectly suited for any modern environment.